Affordable and spacious 3 BR, 2 BA Colonial located in handy central Gloucester neighborhood close to Shaw's Plaza, T station, and downtown Gloucester. Large front porch, huge rear deck, 3 car offstreet paved parking, and an easy care yard with garden area. 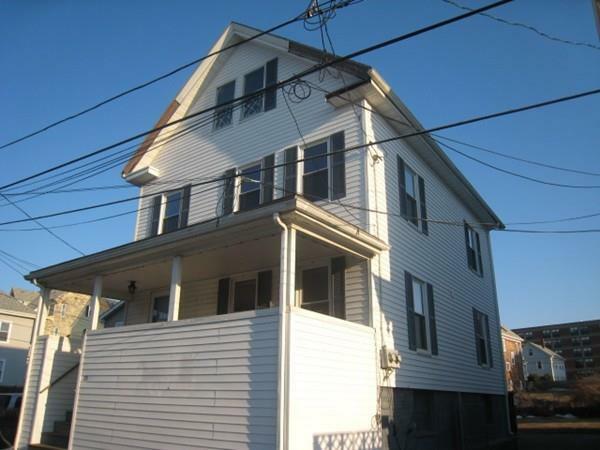 1st floor offers large eat in kitchen, livingroom, newer full bath and BR. 2nd floor has 2 large BR's, den, and bath. Walk up finished attic has familyroom and second kitchen with separate egress. Low maintenance vinyl siding. Full basement has FHW by oil heat, 2 sep. 100 amp electric services, and Superstore hot water. Possible conversion to 2 family!